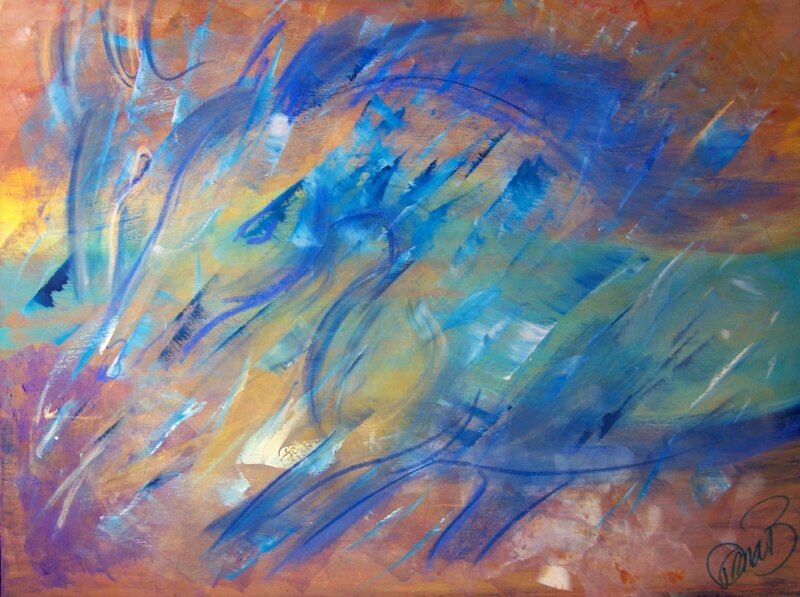 Contemporary equine art, equestrian, horse art, horse artist, equine, fine art, collector, abstract, artist, horses, mixed media, painting, sculpture, bronze, modern, art for sale. Commission, designer, interior design, art collector, fine art, urban, editions, large, life size, tonal, installation. Horse, animal, mane, wild, mustang, running, pony, Equus, domestic horse, Hoofed mammals, horses, Speed, Strength, running equine, running horse, movement, vitality, abstract horse art, horse art. Donna B Fine Art on Facebook - "Like" My Art Here! Thank you! Ideas for your living spaces, lights and landscape design. Share photos of the kitchen cabinets and kitchen sinks you like with a top kitchen remodeler in your area. Visit my Website for Updated Details! Many of my works are large or life-size urban equestrian paintings, "Urban Equines". By that I mean the energy, beauty, and classic equine form expressed in purely contemporary terms. 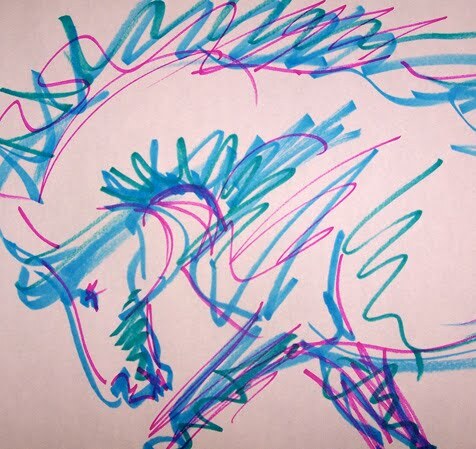 What gives my art its edge is my mixed media approach, and my dear familiarity with the form, movement and function of the anatomical horse. Having been inspired by them since day one, as a child I would visit neighbor’s horses and sit an entire day and watch, day after day. That meant noticing every slight ripple in a muscle; how they would flick the flies with their ears as they grazed, how they would jump for joy when the feeling arose. I studied their physiology, their bones, their illnesses and cures. I still have those many, many notebooks I wrote, as a student of the horse. I would then go home and sketch from memory – never when I sat with them – never took my eyes off them! But my memory, my fantasy, my energetic connection to horses helped to stylize them in my art, and part of that is what you see today. I also create a line of purely abstract paintings, in a signature style composed of dynamic lines, bold colors, and the emotional energetic sparked by the element of the formless. 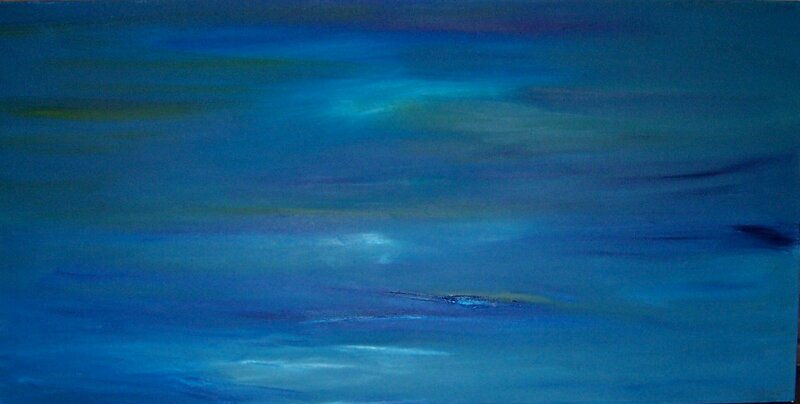 I am seduced by the subtle nuances of abstraction that evoke feeling. My pieces are at home in both formal collections as well as the large-scale spaces of modern design. Influences most impacting my work are Rosa Bonheur, Degas, illustrator Paul Brown, as well as Georgia O’Keefe, Franz Marc and Picasso; Po Kim, Franz Kline, and Masatoyo Kishi. The power of line, the fusion of color, the integration of natural balance. Donna Bernstein was born in New York. Largely self-taught, in school she held a one-woman show in the lobby of a local theatre and sold three pieces. This early success fed a passion for her art. Studying privately with artist Robert Dash, as well as at Hollins College in Virginia, she continued to draw and paint from life and her surroundings, supplemented with studies in Japanese ink work and brush techniques. After many successful years in business, in 1998 Donna and her husband, a national level soccer coach, moved to McCall, Idaho and began a new life. The house they rented happened to have an available garage studio…. it was there, surrounded by beauty and nature, wilderness and horses, that she re-connected to her art, and within three years began marketing to numerous shows and galleries throughout the country. Working on technique at the Boise Art Museum she sculpted. A number of these pieces have been placed in permanent collections. "Your art has it all - motion and emotion." "Your art is full of vitality, energy, on the inside moving out." Donna has been inspired by the ancient cave paintings of Altamira and Lascaux; by Greek marble sculpture and form; and by Impressionist color - the scale and freedom of Monet. Classical influences most impacting her work are Rosa Bonheur, especially her definitive piece, "The Horse Fair"; Degas, Franz Marc and Picasso; Po Kim, Franz Kline, and Masatoyo Kishi. The abstract expressionists Pollock, Frankenthaler and Mitchell, as well as the color field work of Mark Rothko. Georgia O’Keefe, the illustrator Paul Brown, and the daring metal works of Deborah Butterfield. She has studied with such fine artists as Robert Dash, contemporary abstract painter Christine Raymond, and modernist mixed media sculptor Sue Latta. Donna's personal artistic blend and stylization creates art that is modern in structure, yet deeply intimate. Feel free to contact by email or at the studio: 208-861-4331. Commission inquiries are most welcome. December 2010 Topline Ink Equestrian Journal, Cover Illustration Art, "Mustang"
December 2010 Polo Players Edition Magazine, Sporting Art Issue, "Marengo"
October 2010 American Art Awards, Sculpture, "Gosling"
July/August 2010 Topline Ink Equestrian Journal, Cover Art,"Playful"
January/February 2010 Topline Ink Equestrian Journal, Cover Art, "Jewel Thief"
October, 2006 PHELPSSPORTS.com, Artist Feature, "The Equine Art of Donna Bernstein"
April, 2006 Idaho Statesman, Press Release, "Boise City Arts Commission, Boise Airport Featured Artist"
August 2004 Horses in Art Magazine, Feature, "The Beauty of Bronze"
November 2002 Equitana Brisbane Official Program, Australia Feature "Blue Cloud"
BEL FUSE LTD., Kowloon, Hong Kong. PUBLIC and PRIVATE Collections throughout the country. Using my art as a resource in support of Causes I believe in is very important to me, and a strong part of my art identity. Feel free to contact me if you would like to commission a piece of art in the name of a charity of your choice or one of these very special organizations. Ferdinand's Ball, Louisville, KY "Old Friends Equine Rescue"
All Images and Text on this site are the copyrighted property of Donna B Fine Art. Reproduction, copying, or re-use of any images or text on this site without the express written permission of Donna B Fine Art is prohibited.